Moscow has many epithets. The city is called beautiful, golden-domed, immense, both ancient and modern… But more recently, Moscow is often called a smart city. And this is no accident! Last year, Moscow made it on the list of top 5 largest cities and agglomerations in the world ready to adopt new technologies. These are the results of the large-scale survey “The Future is Near: Cities Readiness Rating” by the international company PwC. The Russian capital took the lead in terms of quality of virtual services for residents, the level of infrastructure development, open adaptive education and the digital economy, and was only outdone by Singapore, London, Shanghai, and New York. The Government of Moscow initiated the pavilion’s development. The pavilion is located across an area of 1,600 square meters. It’s an interesting building in terms of architecture: the facades are made of large gray tiles featuring a pattern that looks like computer chips, and panoramic windows that go up to the very top of the building provide quality natural lighting at any time of the year. 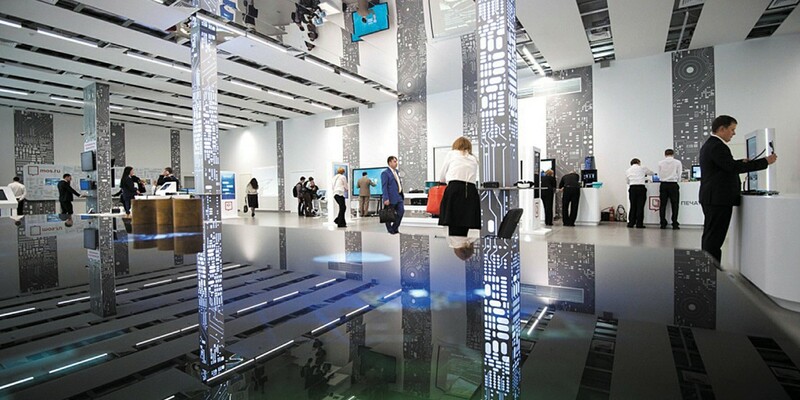 The Smart City pavilion features all the advanced technologies that make the lives of Muscovites more comfortable. The capital’s residents and guests can immerse themselves in the world of innovative services online, try using every service, and experience the advantages and convenience of Smart City. There is a huge mock-up that illustrates how Moscow changed over the past six years across various aspects of city life. The pavilion’s visitors can check out all the benefits of Moskvenok cards, which ensure entry and nutrition for children at school, as well as learn more about other educational services. The healthcare exhibition will inform visitors about how to sign up for a doctor’s appointment through the EMIAS system and about key projects in this sphere. But a lot of what’s on display at Pavilion No.461 at VDNKh has either already become a reality in Moscow or will be implemented soon. In the middle of April, Moscow’s Mayor Sergey Sobyanin requested the development of a Smart City program for Moscow. The main goal of the program is to use advanced technological solutions to create a convenient, accessible, and personalized virtual spaces for Muscovites. Moreover, it will boost the efficiency of city management through the implementation of big data technology and artificial intelligence. As the mayor pointed out, Muscovites today have trouble imagining what life was like without e-services – an electronic grade book and Moscow’s e-school, without EMIAS, Troika cards and e-tickets. According to him, the number of these services in the city is growing. “The number of available e-services is growing every year. Aside from government services, the city is managed by its residents. They control what happens in the city through services like “Active Citizen,” “Our City,” and many others. But technology evolves, and we have to upgrade to a new level of e-services, to a city that runs on information. This isn’t about separate services, but about creating a comprehensive Smart City program that would encompass all areas of our lives,” the Mayor of Moscow said. Electronic technologies will ensure the functioning of executive bodies, along with many civil institutions and businesses. A single access point to any service at any time and from any device will become the norm. The development of artificial intelligence technologies will transfer a significant portion of routine operations to machines, automating a ton of processes. Speech, image, and video recognition and synthesis, machine translation, and many other technologies will be widespread. Informatization and digitalization is one of the main development trends of modern-day big cities. Moscow’s government is actively implementing electronic services across all spheres of city life, from healthcare to education and safety. Artem Ermolaev, Moscow Government Minister and Head of the Department of Information Technology, talked about the implementation of the Information City program in Moscow in 2017. “The goal of the program is to improve people’s quality of life through the use of modern information and communication technologies. The program itself affects all spheres of the city economy. Overall, we implement over 400 projects a year,” he said. According to Artem Ermolaev, key accomplishments includes the development of convenient information resources for Moscow residents and uniting all portals for government bodies and services under one platform – mos.ru. The Information City government program, which will end this year, will be replaced by a new program called Smart City, which is currently under development at the request of the the Mayor of Moscow Sergey Sobyanin. Key modern technologies will be at the foundation of the new strategy. Among them, the Department of Information Technology highlights artificial intelligence for automating decision making based on data analysis, blockchain technology for paperless contracts, and big data for service targeting. Moreover, the main principles for building a Smart City were determined, including the involvement of residents of all ages, e-services that are available around the clock from any device, prioritizing electronic documents over paper documents, and reliance on domestic solutions and the development of the city jointly with business. The discussion of the Smart City program will take place publicly from April to June 2018. The city has invited everybody who wants to participate: industry experts, business community representatives, and city residents. All of them will be able to take part in the development of the new strategy, which the city will adhere to until 2030. According to the Mayor’s office plans, the new stage of informatization for Moscow should go into effect in 2019, when the Smart City program is adopted. The integration of the official portal for the Moscow Mayor, the government services portal, Electronic Atlas, the Avtokod service, and over 40 other sites of government bodies into a single portal (mos.ru) was completed last year. It has become an effective and convenient tool that enables Moscow residents to obtain a wide range of services. In 2017, the number of unique users increased by 28 percent compared to 2016, growing to over 40 million people. With the help of the site, government services ended up increasing their user base by a third (about 260 million requests). The integration of mos.ru with the open data platform (data.mos.ru) is currently underway. A single contact center (phone: +7 (495) 777-77-77) that brought together all dispatcher services integrated citizen phone request lines into one service. The center is gradually introducing advanced voice recognition technologies. They speed up call processing and reduce the workload for operators. In 2017, a total of 24 million phone requests from people and organizations were processed at the contact center – 43 percent more calls than in 2016. Out of these, over a million calls were processed with speech recognition systems. “We’re regularly using different kinds of information technology, and in this case used speech recognition to process phone requests more quickly and give people the information they need,” Artem Ermolaev said. We’re developing a single mobile platform that includes new services and apps, online chats and bots in Telegram channels. Over 2.6 million people are currently using Moscow government apps. The modernization of existing and introduction of new electronic services in the healthcare system continued last year. 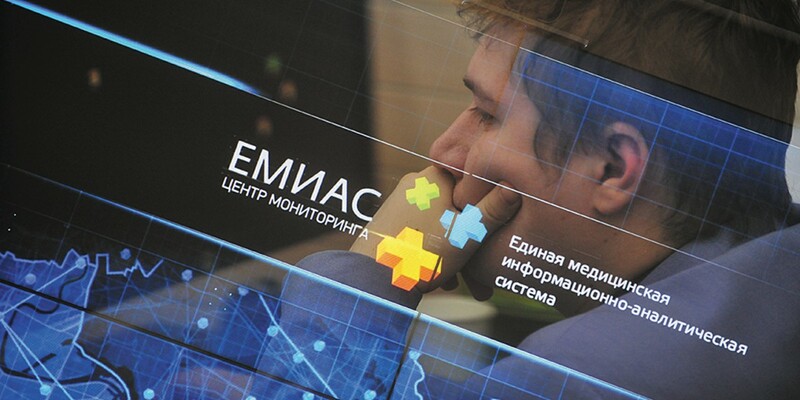 EMIAS, the United Medical Information and Analytical System of Moscow, including electronic medical cards, has been introduced at clinics across two new administrative districts – Troitskiy and Novomoskovskiy. This removed the digital inequities between residents of connected territories and other districts of Moscow. “Before, Troitskiy and Novomoskovskiy Districts were only connected to the information system at the registration level. Now, it’s at the physician level as well. 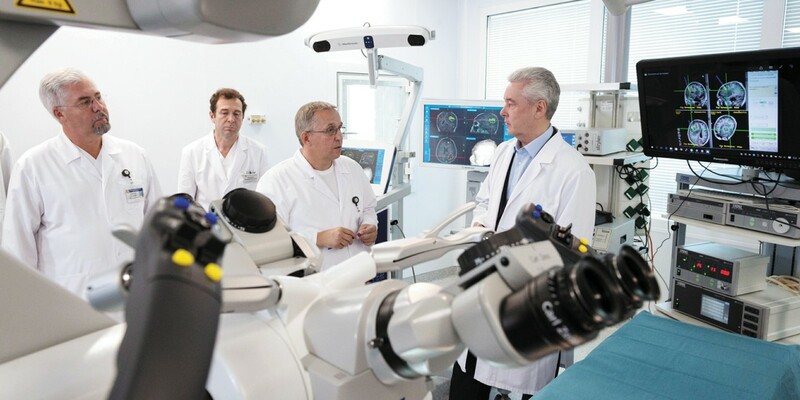 The overall percentage of connected clinics is at 97 percent in our city,” Artem Ermolaev added. The majority of the city’s hospitals have introduced the mechanism for managing patient flows and lines for seeing on-duty physicians. 60 percent of on-duty physicians have already been covered. This has significantly sped up the process of getting help and has cut down on waiting times. The mechanisms for scheduling doctor’s appointments have also undergone improvements. Over 111 million appointments were made through digital channels: websites and apps. This number is 6.7 percent higher than in 2016. Because the service is now available online, over 51,000 people have been able to register with clinics without an in-person visit. The process of getting approval from a medical committee has been simplified. Over 29,000 certificates were issued to the Main Directorate of Road Safety, obtaining firearms, and more. The implementation of the Digital Vision pilot project was a key innovation of 2017. The project uses big data and artificial intelligence to help with early cancer detection and determining risk factors for strokes. Preliminary results have shown that this technology helps increase diagnosis accuracy by 15 percent. “The technology we use here in Moscow is in high demand now, and we’ve received requests from a number of international institutes, including the Massachusetts Institute of Technology (MIT), which is asking us to share our experience because the technology we’ve proposed is not available anywhere else in the world,” the head of the Department of Information Technology said. In 2017, the education sector began to widely implement the Moscow Electronic School (MES) project. The MES online library currently has 146 textbooks, over 30,000 test assignments, six virtual laboratories, and over 150,000 electronic lesson scenarios. Out of these, 15,000 scenarios are available publicly. The vast majority of materials have been developed and posted by teachers. Moreover, business actively took part in creating content for MES. The electronic library has over 200 interactive apps. “We’re implementing the Moscow Electronic School project across a third of the capital’s schools. This isn’t just about digital infrastructure like interactive boards, Wi-Fi, and laptops in every class, but also, most importantly, about digital content. We’re already using 146 textbooks in electronic format. And this means that backpacks can be lighter. This is 15,000 lesson scenarios that are accessible to every teacher. The system has over 200 interactive apps,” Artem Ermolaev said. About 10,000 teachers have been trained to work with the MES. Teachers working with the project have received raises of 10,000 rubles a month. Thanks to the MES, parents are spending a lot less time on monitoring their children’s progress in school. In 2017, they used the Electronic Grade Book service over 150 million times. 846,000 parents actively use the Entry & Food information system. There were over 4.6 million requests to view results from state exams. Users have also filled out over a million applications to sign their children up for different clubs and activities. Moscow Electronic School has served as the foundation for the nation-wide education project Russian Electronic School. A corresponding agreement has been signed between the Government of Moscow and the Russian Ministry of Education and Science. An increasing number of decisions in the housing and utilities sector are made based on data and automation. By the end of 2017, 79 percent of public sector establishments (3,600 facilities) and 57 percent of apartment buildings (13,500) switched to automated data collection from meters. 100 percent of dispatching centers (excluding the Troitskiy and Novomoskovskiy districts) are connected to the single dispatching service that helps Moscow residents resolve issues related to housing and utility services. 8.3 million requests were processed in 2017. “This gives us the opportunity to use a completely different approach. Now we can see online what’s happening to every residential building in real time. What kinds of requests we get about plumbing, carpentry, and so on. This allows us to adjust our approach to both capital and current repairs,” the head of the Department of Information Technology said. Most often, residents use mos.ru to obtain state services. Over 15.7 million requests were made to obtain single utilities payment documents. Over four million requests to transfer electricity meter data were made, and data from water meters was transferred over 34.6 million times. The My City web platform helps resolve problems in the city. In 2017, there were 839,000 requests made about housing and communal services, 722,000 problems were identified, and 711,000 out of them were resolved. Last year, the Mobile Inspector system that was created in 2011-2012 was updated. It lets people use tablets to report traffic incidents and fines electronically. The ergonomics and functionality of the Mobile Inspector system was improved, and traffic police received additional technology. As a result, the time it takes to register traffic incidents or fines has been reduced. In 2017, 70 percent of accidents and traffic fines were filed electronically. In 2016, this number was just 50 percent. The coverage area of the city’s video surveillance has expanded, and an additional 1,800 cameras were installed inside building entrances in the Troitskiy and Novomoskovskiy districts. Plus, 4,500 cameras were added to stadiums, transportation facilities, parks, and so on. Special attention was paid to protecting the city’s e-services against hackers and other cyber crimes. In 2017, Moscow implemented a new authorization form for users, which includes additional data protection measures. We also trained about 46,000 government employees on the basics of information security. On average, big and small hacker attacks (including DDoS) were spotted every 20 seconds in 2017. Also in 2017, preliminary work was done to ensure the transition from a reactive to a proactive and preventive approach in the field of security. “We focused on cyber security for the first time. Because you can’t imagine people in Moscow not using information technology. But hackers have also been more active. If cyber attacks against the Moscow government happened every 30 seconds in 2016, they’re now happening every 20 seconds. Just imagine, every week we fend off one million attacks from hackers. All of the hackers are different – from smart kids who are trying to hack their electronic grade books because they want a better grade to more advanced hackers,” Artem Ermolaev said. The mos.ru payment service has also become more popular in 2017. 4.3 million payments in the amount of 13.6 billion rubles were made this year, which is 40 percent more than in 2016. Payments can be made in just one click now. “Of course, special attention is paid to the economics block now. Here, aside from using services, people can make payments that go into to the city budget: utilities payments, taxes, and so on. City residents made over four million payments that amounted to 13 billion rubles last year, which is 40 percent more than in 2016. This tells us that these services are very convenient,” Artem Ermolaev added. The discount program for social cards has also been expanded, and residents can now use them to get discounts on services from 5,500 partners. The discount program helped Moscow residents save over 220 million rubles in 2017. The Unified Register of Contracts and Tenders (EAIST) in Moscow published about 110,000 procurement transactions. The number of users in the system increased by 66 percent, reaching a total of 15,000. 10 million offers have been published on the supplier portal, zakupki.mos.ru. “This is a totally new resource. Imagine 10 million offers from small and medium-sized businesses that are related to various services in the city and our establishments, which brings competition to a whole new level in terms of both price and quality. This is an especially successful project that we’re going to continue developing in 2018,” Artem Ermolaev added. Moscow’s investment portal investmoscow.ru is also in high demand. In 2017, 57 billion rubles were invested with the help of the portal, and almost six thousand tenders were held. “Six thousand tenders totaling 57 billion rubles were held through this resource. It’s a completely transparent process, and the portal’s menu is available in different languages. 95 percent of services in the construction sector are provided in electronic form. It’s an incredible innovation for the international community. This is definitely a fact. When talking about innovations, it’s important to note that we created a special entity called the innovation lab, which helped us implement new technologies. For example, Moscow became the first city in the world to create a government platform based on blockchain technology. I’m talking about the Active Citizen platform,” the minister said. In the urban development sector, 94.4 percent of services are provided in electronic form. In 2017, two new services were created: the issuance of a developer’s opinion on compliance with requirements and the provision of a technical opinion on the compliance of project documentation with the consolidated plan of underground communications and facilities. The education process for children with disabilities has been adapted with the help of electronic technology. 1,500 new participants were added to the Moscow social card discount program. Zaryadye Park has digital headquarters. 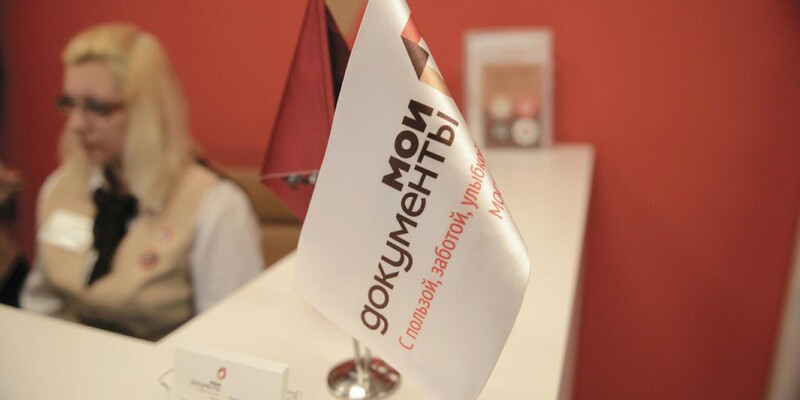 The Museum for Children program, which provides free visits to 90 museums for social card holdres, is an important achievement in the sphere of culture. Interactive guides and a Discover Moscow portal have been developed for tourists. The site has over 1.25 million unique visitors and over 400,000 mobile app downloads. A blockchain technology pilot project was implemented on the Active Citizen platform, and Moscow Electronic School has augmented reality features. The expansion of the city’s Wi-Fi network, which is currently available in the metro, above-ground transportation, several streets inside the Garden Ring, many parks, student dorms and cultural centers, continued in 2017. The number of internet access points has doubled inside the Garden Ring, and there are now about two thousand of them. 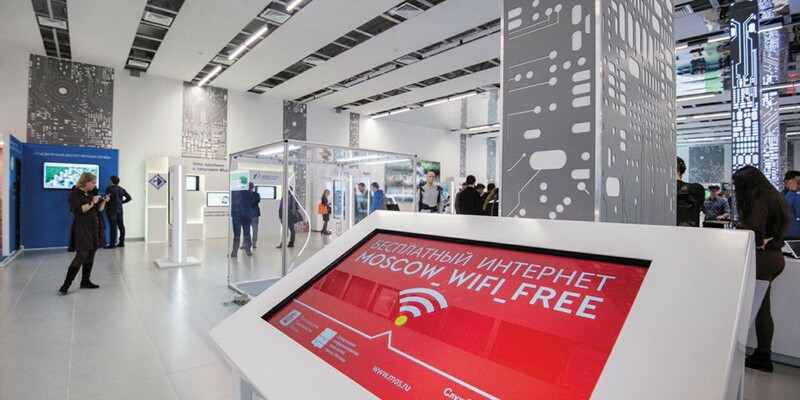 164 cultural and entertainment centers in the center of Moscow have access to Wi-Fi now. Over 80 percent of Moscow residents use a smartphone, computer, laptop, or tablet. High competition and rapid development speeds enable Moscow residents to have mobile internet access at a fifth of the price New York residents pay. Over 90 percent of apartments in Moscow are hooked up to home broadband Internet. Every fifth user has access to speeds of over 100 megabytes a second. Moscow in the top 10 big cities in the world with the highest fixed internet speeds. Compared to 2016, Moscow has moved up in many international ratings and studies on smart cities. In the Global Cities Report (A.T. Kearney), the capital moved up from 35th place to 10th place. Moscow was also bumped up from 108th to 89th place in the Cities in Motion rating (IESE Business School) and from 45th to 43rd place in 2thinknow’s Innovation Index. Moscow’s projects have been finalists and winners of international and Russian awards. For example, the professional network of IT Directors in Russia, Global CIO, named the city’s Wi-Fi network the best infrastructure project. The Discover Moscow app won Best m-Government Service Award, and EMIAS placed third in the Global mobileGov Awards. Moscow Electronic School was the winner of the Runet Prize in the “Science and Education” category, and the the supplier portal won in the ‘Economy, Business, and Investments” category. Moscow was also in the top 7 Intelligent Communities of 2017 and got an award from WeGO, the World e-Government Organization. Information and communication technologies are gradually becoming one of the leading sectors of the Moscow economy. Their share in the gross regional product has reached 5.8 percent. The capital’s enterprises produce 70 percent of the industry’s total volume in Russia. Over 300,000 industry specialists are currently working in the city. In 2017, their average salaries increased by eight percent compared to 2016. Over 20 percent of new vacancies in the financial and mining sectors are open to IT and telecommunications specialists. In 2017, every eighth freshman chose a major that’s related to information technology or telecommunications. 77 percent of Muscovites have ordered things online at least once. Every fifth resident of the Russian capital purchases things online every month. 65 percent of people living in Moscow go online to obtain services like getting a cab, purchasing tickets, ordering food, carsharing, online education, housekeeping, and more. Over the course of the last few years, IT development in the capital has gone through several stages. Up until 2011, the city had a targeted state program called Electronic Moscow. At that time, the basic electronic infrastructure was established and government bodies were equipped with computer systems. The share of households with broadband internet access reached 23 percent. 1.7 million people had mobile internet access. The next stage began in 2012, when the Information City program was adopted. This stage can be referred to as the era of automation and decentralization. By the end of 2017, over 200 services were made available online. The mos.ru internet portal was created, along with similar centralized systems. The latest informatization stage for Moscow’s municipal economy will go into effect in 2019, when the Smart City program is adopted.